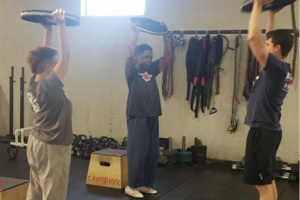 As a long term employee of UCP Seguin of Greater Chicago and member of Bulldog Bootcamp & CrossFit, I consider both places to be like extended family. 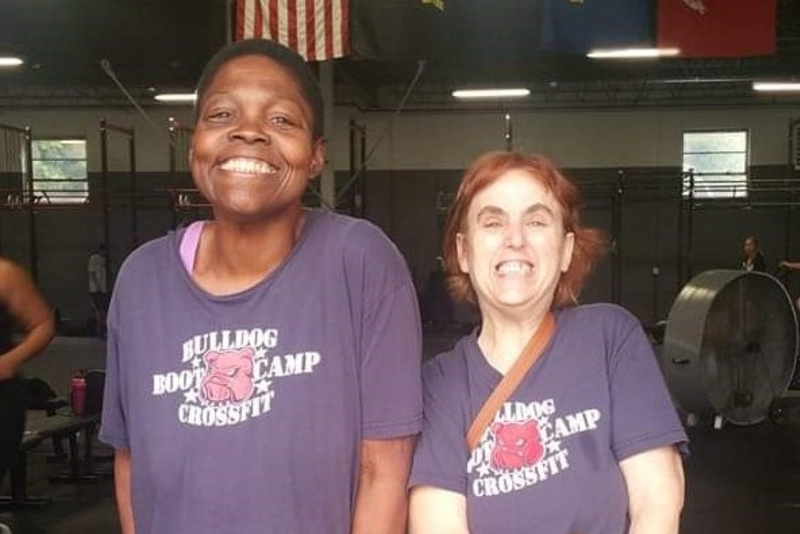 They already come together every Saturday for Special Olympics Powerlifting practice, and every holiday season for the Secret Santa donation program, so it seemed like a natural fit to organize a fundraiser hosted at Bulldog. UCP Seguin and Bulldog have a lot in common. They both teach patience, endurance, and the benefits of perseverance. They teach you to set goals, cheer each other on, and encourage your friends to finish no matter how long it takes or how hard it is. ﻿Every person has dreams and desires for a full and joyful life. We all hope for happiness that is a result of working toward achievable goals and making progress as we strive to better our lives. Debra is just like all of us in that way. She has faced a hardship that most of us do not face though—Deb has a developmental disability. In addition, Deb has faced challenges with social interactions as well as weight-related health concerns. 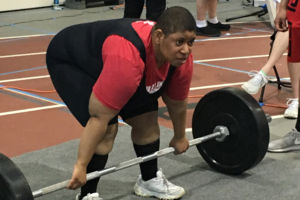 Life had been very hard for Deb…until she came to UCP Seguin of Greater Chicago. Prior to coming to live and work with UCP Seguin, Deb was served at other agencies, but these situations did not work out. As a result, Deb decided to come to UCP Seguin. UCP Seguin’s staff members have consistently worked with Deb and instructed her in all areas of her life. They have shown her that she can make wise choices regarding her actions, her health and in her relationships with others. As a result, Deb has developed new friendships at UCP Seguin and in the community. In addition, Deb now enjoys choosing to eat more fruits and vegetables and drinks more water. 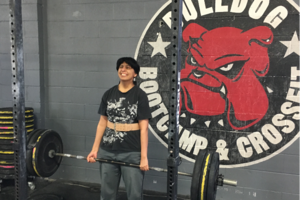 Along with the changes to her diet, Deb has learned to exercise by regularly attending Bulldog Bootcamp & CrossFit with a group of friends and working out at home. She has done this so she could lose weight and has she lost weight – she lost over 220 pounds in the past decade! This has made Deb rightfully proud of herself. She has accomplished important goals through consistent personal efforts. Most importantly, Deb has developed a happy, joyful attitude. Today, with the help of UCP Seguin, Deb is living a “Life without Limits” for people with disabilities. 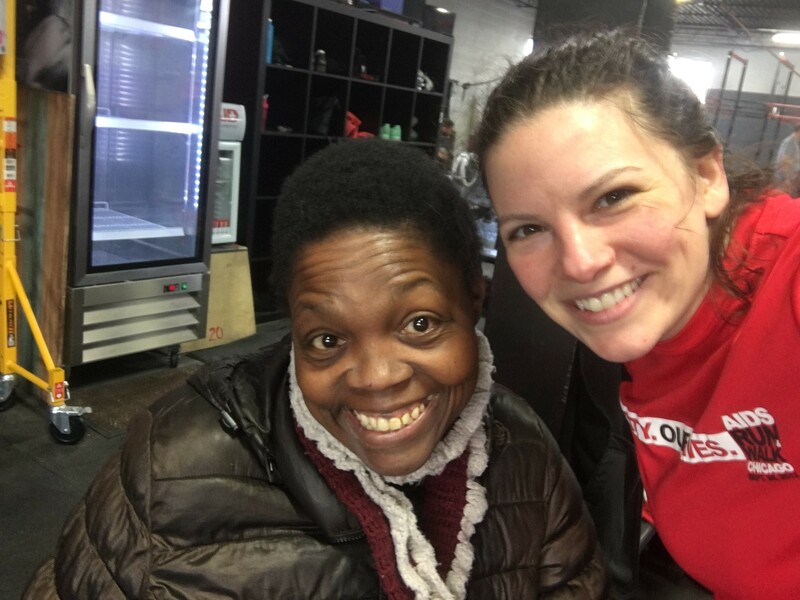 By participating in “Raising the Bar for UCP Seguin”, you would help us make dreams come true for Deb and other individuals with disabilities too by donating generously today! Sign up for a heat time! Heat times are now available! Please go to https://bulldog.members.pushpress.com/event/list to sign up for a heat. There are 20 spots available for each heat (10 teams of 2). You and your partner will each need to sign up for the same heat time. Spots are first come, first served. If you do not have a partner, you can sign up for the heat you would like and we can match you with a partner the day of the event. If you find your own partner after you sign up for a heat, they can then sign up for the same heat time when they register for the event. If you have any questions, please contact Erika Winston at ewinston@seguin.org or 708-222-3255. Thanks, and looking forward to seeing you at Raising the Bar! So we stop at nothing to provide life skills training, assistive technology, meaningful employment and a place to call home for people with disabilities. 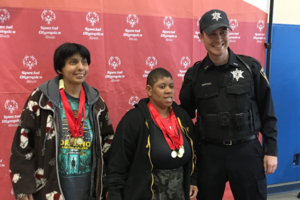 We place and support them in community jobs throughout the Greater Chicago area, including in our own social enterprises Seguin Auto Center and Seguin Garden and Gifts. We ensure that adults with disabilities can live and socialize within their community, by offering residential services in multiple small, community-based homes. And we support their physical and mental well-being and vocational needs with training centers across the region. We also give a home to children and adolescents, with nurturing foster care from birth to 21, including specialized care for children with behavior or medical challenges. In addition, our specialized assistive technology and accessibility services allow us to serve more people, advancing independence and promoting inclusive opportunities for thousands of children and adults with disabilities. Infinitec, with its partners, provides invaluable information about assistive technology, as well as training, equipment and access to specialists and resources. Our innovative programs leverage the latest technology, but the individuals we serve come first in everything we do.